Anglers can head out to the waters in nearly limitless ways in search of fish. One of the most enjoyable ways to go in search of the fish you want is with a fishing kayak. These boats are purpose-built to carry gear, tackle the waterways, and bring home the fish you’re looking for. There’s something different about a calm, cool morning on the lake with no noise but the sound of water dripping from your paddle as you make your way along the shore to your spot. Fishing kayaks can get into shallow waters with ease, they don’t require a mechanic to fix your outboard motor, they’re lightweight and portable. Anglers looking for a pedal kayak, see my recommendations here. For more of my top gear recommendations, have a look through these popular Outside Pursuits guide links: Kayak Paddles, Kayak Fish Finders, Kayak PFDs. Here is a feature overview of my top 3 overall picks. 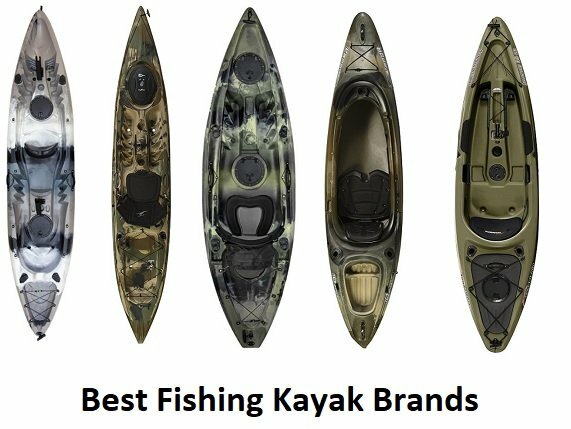 Our guide and comparison table of the top rated fishing kayaks will help you choose the right one for you. The BKC (Brooklyn Kayak Company) weighs in at just 68 pounds but sporting a beefy 450-pound load limit, this two person fishing kayak can handle a lot! It comes standard with two paddles and the boat has built in paddle holders for when you’re fishing. I love the 3 adjustable rod holders for trolling or just having several lines out at once. There are also 4 flush mounted rod holders for tons of storage. Overall, I think the adjustable seats may be the weak point of this kayak. That’s just because so much of the rest of the boat is well built. The paddle rests are a nice feature keeping your paddles secure while your fishing and 4 carry handles make it easy to transport to and from the water. The BKC has a wide 34 in beam for stability, especially nice if you like to stand up while fishing. With plenty of storage space, its ideal if you want to make your fishing trip more than one day. Overall the BKC is my top pick for the best tandem fishing kayak. 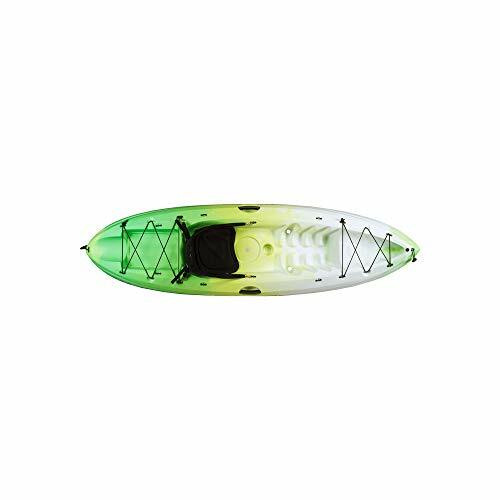 This long, slender angler kayak is stable and quiet and made for a variety of water conditions. I love the large front hatch on this boat and the rear gear storage is flexible with shock cord lashing to fit any gear or tackle boxes. With two rod holders, two cup holders, and 2 paddle holders there’s enough of everything to go around. Once advanced feature of this boat is the capability to mount a transducer, or fish finder. This is a capability we haven’t seen in the other boats we’ve reviewed and it may be a critical buying factor for some! 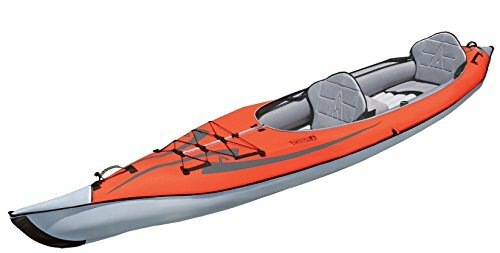 At 13 feet long and a relatively narrow 28 inches, this a fast kayak that tracks well. With the “Comfort Plus” seat, its suitable for an all day fishing expedition. The only knock on the kayak is the lack of moveable rod holders, although you could add an aftermarket one if you really wanted one. The Ocean Prowler was designed from the ground up to be the best sit on top fishing kayak. The features don’t seem to stop with this one! This small, agile sit on top fishing kayak is loaded with so many options it’s hard to list them. With a length of 9 feet its highly maneuverable, although it will be harder keeping it in a straight line. It has wide beam at 32 inches so its a pretty stable boat, suitable for standing up in to fish. I like the double sealed hatch design for waterproofing gear and small items that could float away in case of capsizing. There’s also plenty of room in the gear storage behind the cockpit with flexible shock cord for larger items. With a deluxe seat, its made for fishing all day and it even comes with a paddle. You may want to upgrade later to a lighter carbon fiber paddle however. As all the best fishing kayaks have, the Skipjack 90 comes standard with four flush mounted rod holders for plenty of options on each trip. The Vibe is my top pick for the most stable fishing kayak. With adjustable foot rests, open cockpit, and plenty of storage this boat could be great for many anglers. I particularly like the luxurious seat which is often overlooked by other manufacturers. I like the thick thigh pads, they really do help out when your out on the kayak all day. There is a sealed bow hatch storage in the bow with plenty of space behind the seat for tackle boxes and other gear. The Predator has 6 adjustable rod holders and an anchor with trolley system for setting up camp in one spot. The Predator is designed so that you can stand up while fishing and has stand up fishing straps to keep your balance. Overall, I think this boat could offer some features that many on our list overlook such as the built-in anchor system, storage for a trolling motor battery and a mount for a trolling motor. Old Town is a quality brand and a top contender for the best fishing kayak under $1500. 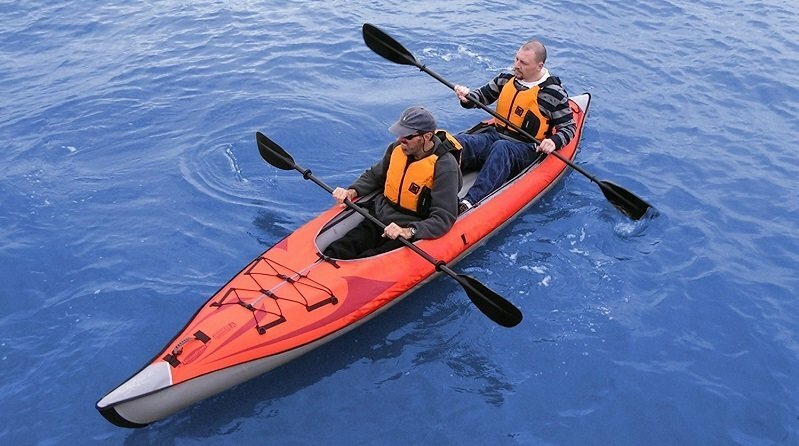 This single person fishing kayak is a sit on top design with plenty of flexibility and options. I like that they didn’t go overkill with the rod holders – just two flush mounted and one adjustable. There are two dry hatches both 6” for small gear or items that simply can’t get wet. Overall I think they could have done a better job with the seat. The kayak has a flat bottom for stability and is ideal if you like to stand up while you are fishing. However, the overall gear storage and versatility make it a viable option for some anglers. At a bargain price, its probably the best fishing kayak under $400! This single person angler kayak is affordable and built to meet your needs! With two vertical mount rod holders and one swivel rod holder it’s all that one paddler can handle. With two dry storage wells, paddle holder, and the PAC system there’s tons of gear storage flexibility. I’m a fan of the knee pads on the edge of the boat and the adjustable footrest which both add a level of all-day comfort. My favorite part about this boat for any paddler is the Portable Accessory Carrier system which can act as storage, tow behind, or backpack. 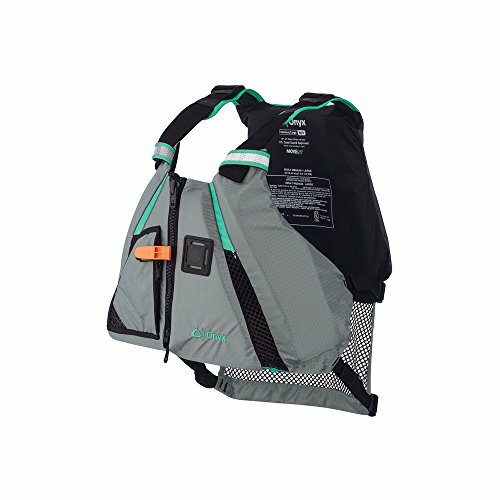 If your not looking to spend a lot of money, I would say the Sun Dolphin Journey is the best cheap fishing kayak. With the same number of fishing rod holders and the same overall length as the Journey kayak, what could be different? The excursion is a closed cockpit design with the ability to be fitted with a spray skirt. This makes it a good choice for rougher situations. There’s also the Sun Dolphin signature Portable Accessory Carrier which I love. There’s not as much versatility here for the everyday fisherman so, unless you need a closed cockpit boat you’ll be just fine with the Sun Dolphin Journey model. If your not looking to spend a lot of money, the Excursion is one of the best fishing kayaks for beginners you can buy! Anglers’ kayaks are usually defined by their special outfitting for carrying fishing equipment and rods. Don’t skip the details when you’re buying a new fishing kayak. This boat can become your new favorite hobby as long as you pick out the right one. They can be sit on top or traditional models and may come with any variation of features but always fishing unique additions. Kayaks are built with many inverse factors. Long kayaks are faster, but less agile than short ones. Wide kayaks are more stable, but slower than narrow ones. So how do you choose the features you want when it comes to kayak dimensions? Most fishing is done while the boat is not moving. For this reason you may want a wider kayak to help keep you stable while casting, reeling, and landing fish. You don’t want to be fighting the boat while also fighting the fish. Fishing kayaks get some bonuses from being wider. Of course, if you are in a situation where getting to your favorite spots happens to involve a lot of paddling, perhaps a more narrow boat makes sense in these cases. As far as length it’s not so easy to say what’s best for fishing. Longer boats will have more legroom and more room for gear. Usually fishing doesn’t necessarily demand tons of agility. However, if you’re doing most of your fishing in narrow rivers or inlets, a shorter boat might be advantageous. For open water fishing a longer boat will provide more speed getting to and from your favorite spots. These boats are a little different from the more traditional style of kayak which features a cockpit. Sit on top kayaks are one piece of molded plastic where all gear and paddler sits on the deck of the boat. Sit on top kayaks offer a lot more flexibility for adding and removing accessories. Rod holders, tackle boxes, anchors, and other fishing goodies are much easier to mount and carry on a sit on top kayak. These boats also offer a lot more legroom and the open design makes it easy to cast and turn freely to get your bait right where you want it. Netting and landing fish using a sit on top boat is also a breeze compared to a cockpit where you have to reach over the edge and deal with parts of the boat being in your way while you work on the fish. So when is it a good idea to use a cockpit type boat? This type of kayak is probably what comes to mind when you think of a kayak. Just like a sit on top kayak, there is a seat with foot rests so you can get in a proper paddling position. The main difference being with a sit inside, you have an enclosed cockpit. This type of kayak offers protection for the elements. If you plan on fishing in colder weather or in rougher conditions, this type of kayak may be a better choice. If these sound like your ideal fishing conditions, then you might consider going with a traditional cockpit boat. Let’s look at some pros and cons of each type to help you decide which is the better choice. A sit on top kayak is more beginner friendly, they are easier to get into and out of. If you plan on using it primarily for fishing it’s probably the better choice. A sit in kayak will be self-bailing, they have what are called “scupper holes”. These holes allow water that is splashed into the kayak to drain out. This type of kayak is best for warm weather/water conditions. You are much more likely to get wet from waves splashing and water dripping off the paddles. A sit in kayak will shelter the lower part of your body from the wind making it a warmer paddling experience. 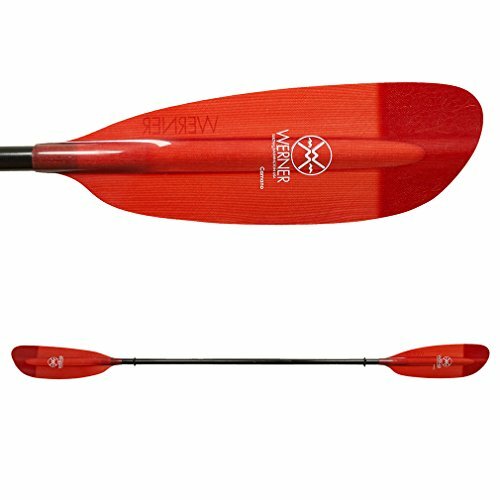 You will have a lower profile, making it slightly easier to paddle because there is less wind resistance. It also gives you a lower center of gravity making it more stable than a sit on top kayak. A sit in kayak is more difficult to get in and out and more difficult to fish out of. They are not self-bailing, if water splashes in the kayak you will need to flip it over to drain it. Where it comes to fishing kayaks, there are only a couple of reasonable options. Sit on top kayaks are one of the most popular, but there are a few variants that might be appealing for different reasons. These boats are a kayak variant that are quite popular. While they stretch beyond the real definition of a kayak, they are a great alternative. These boats provide a rigid frame typically suspended between two small buoys. There’s tons of room for gear and you sit high above the water so it’s easy to have a platform to observe and cast from. Folding kayaks are usually traditional cockpit type boats that literally fold down. These boats are made from advanced synthetics and can fold into small packages using what seems to be magical engineering. These are awesome options for transporting in your car or SUV if you don’t have a good way to transport a traditional kayak. They will be hard to mount accessories to, however. As you guess are pumped up with high pressure air and form a kayak that can be deflated and transported easily. They’re durable and rarely have deflation issues, unless you carelessly ram into extremely sharp objects. Like folding kayaks, you will have a hard time mounting accessories, but some inflatable fishing kayaks are surprisingly effective. Let’s look at some accessories you may want to consider to make your day fishing easier. Rod Holders: are universally critical components of any fishing kayak. Most fishing kayaks have at least two rod holders located behind the cockpit. Rod holder location is critical though because you don’t want to smack into your stored rods while trying to cast. One good location for your primary rod is in a rod holder between your legs, then the two behind you can be use for backup or secondary rods. Anchor Trolleys: are rigged directly into the kayak. 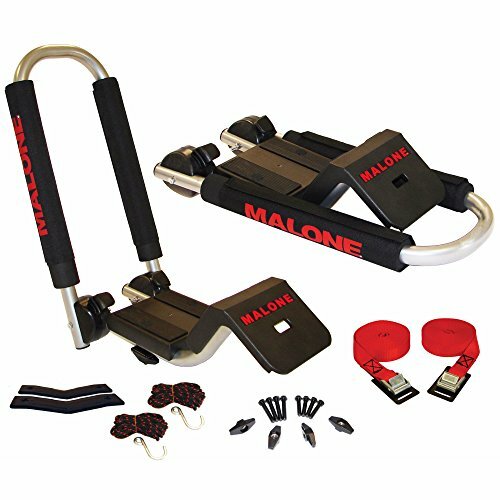 You can install these aftermarket kits, but many advanced fishing kayaks come with anchor trolleys already built in. I prefer these because there’s less chance of messing up the boat by trying to install your own. 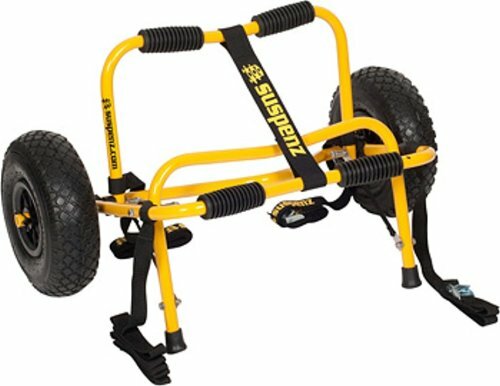 Essentially the anchor trolley allows you to change the location of the anchor on the fly so you can float down stream, up stream, or sideways from your anchor’s location. Dry Storage: if you want to keep your keys, phone, and GPS safe and sound you need dry storage. These are usually 6 inch bulkhead storage containers. They’re often just big enough for a phone and some keys, but they help keep your expensive things dry and safe. In the event that your boat happens to flip, having your items inside the storage means they can’t sink to the bottom! Paddle Holders: These are usually a bungee cord on either side of the kayak that you put your paddle under and secure it. This allows you to keep the paddle out of the way and secure so it doesn’t fall overboard. Rudders: are usually foot operated and control the direction of the kayak. 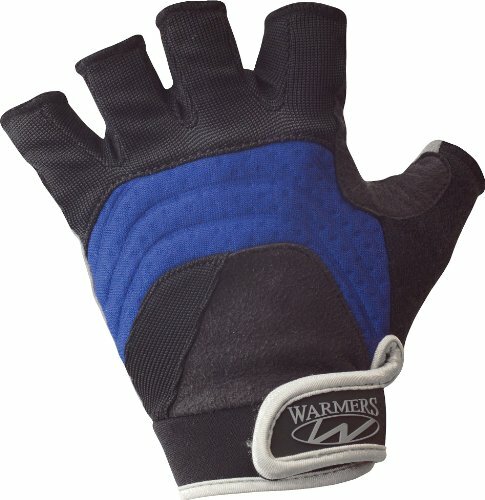 These are awesome for helping to correct paddle strokes or wind direction when paddling. Because most fishing is done when the kayak is not moving, they won’t add much to your fishing experience. However, if it takes a lot of paddling to get to your fishing spot, they might be helpful. 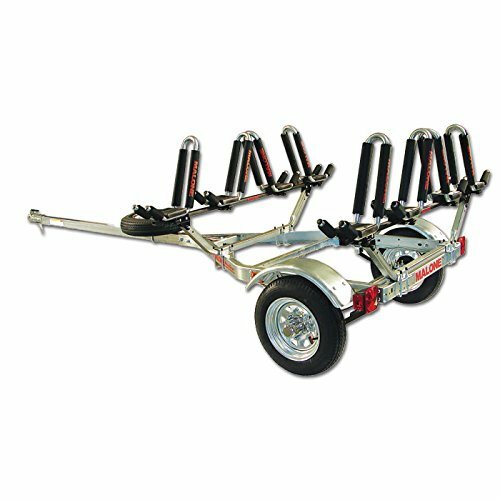 Transom Trolling Motors: can sometimes be fitted on to inflatable kayaks and catarafts. Most traditional kayaks cannot support a trolling motor but in case you want one, it is possible! If you want to try to fit an electric motor onto your kayak or raft be sure to check that it’s supported before you buy – modifying your boat doesn’t always go as planned. GPS Units: are a great addition. Usually you won’t be paddling so far that you might get lost, but sometimes it’s helpful to mark a location or find your way home in unfamiliar waters. 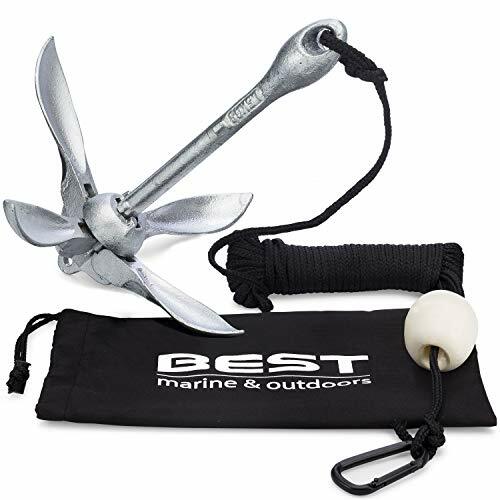 They can easily be mounted to kayaks by drilling two or three small holes in the top of the decking and simply screwing a GPS holder to the boat. Alternatively, you can find GPS unit holders made to fit certain models of kayak. Fish Finders: If your fishing in unfamiliar waters and don’t know where the fish like to hide, you may find a kayak fish finder a very helpful accessory. Knowing where the fish are, is half the battle! Stability in kayaks is defined in two different ways. There is initial and secondary stability factors on all kayaks. Essentially initial stability refers to how stable the boat feels when sitting flat. Secondary stability refers to how stable the boat feels when tipped to one side. Stability can be affected in two main ways. Initial stability is severely affected by the width of the boat. As mentioned above, wider boats offer much greater stability when sitting still. Narrow boats are more manageable once they’re tipped. When fishing you won’t often be tipping the kayak on edge so a wider boat makes sense for this. Chines are the second factor that can impact stability. Chines are usually molded into the shape of the boat and look like one or more ridges running the length of the boat underneath. Sharp chines form distinct ridges and are usually best for secondary stability – once the boat is on edge. Soft chines are at home when the boat is acting in its initial stability plane, flat on the water. For fishing boats, wider and softer chines are usually the most sensible combination for most situations. If you are not familiar with kayaks, you may not know what all the terminology is. Lets go over some of the more common terms. Keel – This structure runs length of the kayak to aid in tracking or keeping the kayak going in a straight line. Skeg – Similar to a rudder in that it helps with keeping the kayak in a straight line. Most fishing kayaks have a skeg built in like this. Scupper Holes – These holes in the bottom of a sit on top kayak is what allows the water to drain out of the kayak. There are normally 4 of them and they are placed to let in as little as water as possible and when moving. The holes create a vacuum when you are paddling, sucking the water out. Beam – This refers to the widest section across of the kayak. A kayak with a wider beam is generally more stable. This is especially important with a fishing kayak, especially if you like to stand up while you are fishing. Foot Rests – These allow you to gain some leverage when paddling. There are two types of foot rests, built in/fixed and adjustable. Many sit on top kayaks come with several, non adjustable footrests. Weight is not something that makes a big difference when you are paddling around but it will quickly becomes one when you are taking the kayak out of the water and loading it. If you are transporting it on top of your vehicle, then kayak weight should definitely a factor in your decision. More so if you usually fish alone and need to lift the kayak onto the roof. If your using a trailer, its not quite as much a problem then. Remember, it’s not just the weight of the kayak, keep in mind any accessories you may have such as: rudders, anchors, trolling motor mounts and the motor. Whatever you put on board is going to add to the weight, unless you plan on removing everything before loading it. Fishing kayaks come in quite a wide range of prices. Even if you are on a strict budget, there is a kayak for you. If your budget allows more, your options will be greatly expanded. The more specialized the kayak is for fishing, the more expensive it will be. Usually you get what you pay for, and a more expensive kayak will be of better quality, lighter in weight and more features meant for anglers. Just because you spend more for a kayak doesn’t mean you will catch more fish! You also may not need or want all the extra features in a fancy kayak. If you plan on using it frequently, then its is better to go with a more expensive model that will have all the extra bells and whistles. Even if you don’t use then right now, you may want them in the future. When your fishing your going to have gear. Be it tackle boxes, extra rods and reels, bait etc. This is where a sit on top fishing kayak shines. Most fishing kayaks will have a large rear storage area with bungee cord rigging to keep everything secure. Dry wells are another extremely handy storage area. 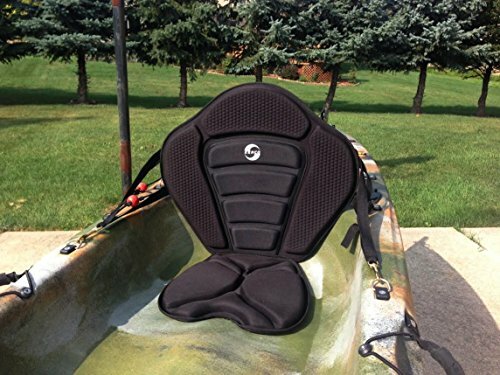 Most fishing kayaks will have a dry well directly in front of the seat. This area is where you will want to store your gear or other equipment that you want to keep secure and dry. Q: Where do you put the fish you catch? A: Well this assumes you are not practicing catch and release fishing. If you catch a fish you plan on keeping for dinner you have a few options. There are insulated bags you can get to keep the fish in. A cooler with ice is another option. Finally you could keep the fish alive in netting off the side of the kayak. A: If you have a child that you think you may want to take with you then you will have little choice but to get a tandem. If you have a spouse or friend you may be better off with two single kayaks. It saves a lot of disputes! Of course if you just want the extra room or plan on taking along an extra angler or passenger on occasion, a tandem may be a better option. Q: What do I do with live bait? A: You have quite a few options for taking along live bait which I highly recommend. Live bait is much better at catching fish! You can use a bait sled, a live bait tank or keep it next to you in the water in netting. Q: Can I use a fish finder? A: Absolutely, I highly recommend using them! Knowing where the fish are is the most important thing. All the fancy gear and bait wont help if you cant find the fish! Q: Will I get wet when I am fishing? A: It really depends on where you will be fishing and how far you will need to paddle to get where the fish are. As a general rule of thumb, the longer the kayak the faster it is and the better it tracks. Ocean Kayak -We feature this brand of kayak for good reason! They have been around for decades and have a wide range of kayaks including several excellent fishing models. Old Town Canoes & Kayaks -Now a subsidiary of Ocean, they have kept the name and their lineup of kayaks separate. Now a part of Ocean we can assume they will keep the same level of quality they always have. BKC – The Brooklyn Kayak Company, founded by New York fishermen who wanted to create the best possible fishing kayak. I think they have it with the TK181. Vibe – A real newcomer to kayaking, Vibe founded in 2013 by Josh Thomas and John Ewald. They are self described kayak junkies and have created a solid lineup of fishing kayaks. I hope this guide was helpful for finding the best fishing kayak to fit your needs. If you want to comment or recommend a kayak I didn’t include, please use my contact form to get in touch.